True worship. Worship in Spirit and Truth. To have authentic worship, we have to be fully surrendered. 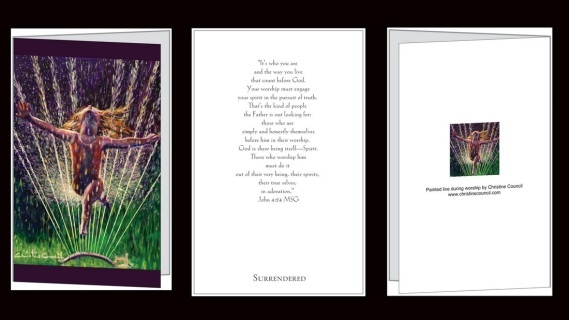 In order to be surrendered we have to be submitted to the Word. 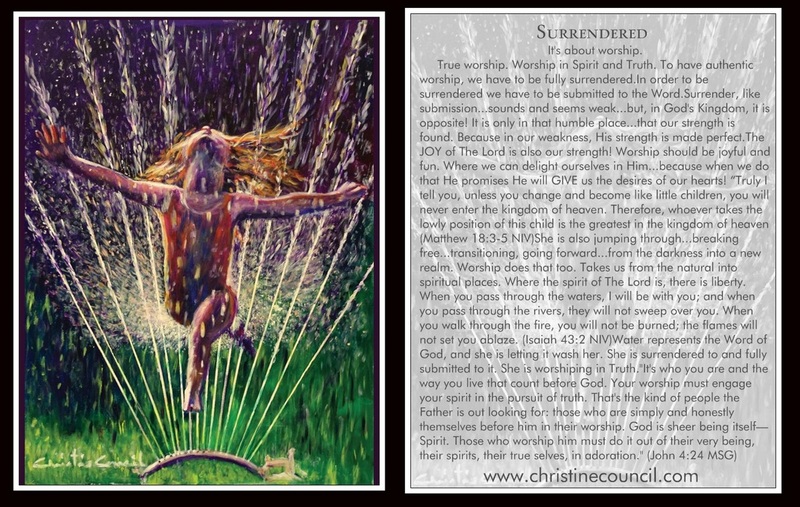 Surrender, like submission...sounds and seems weak...but, in God's Kingdom, it is opposite! It is only in that humble place...that our strength is found. Because in our weakness, His strength is made perfect. Surrendered vessels don't mind waiting either...because they know that those that wait on The Lord...will renew their strength. As you can see, the girl is having fun too! The JOY of The Lord is also our strength! Worship should be joyful and fun. Where we can delight ourselves in Him...because when we do that He promises He will GIVE us the desires of our hearts! 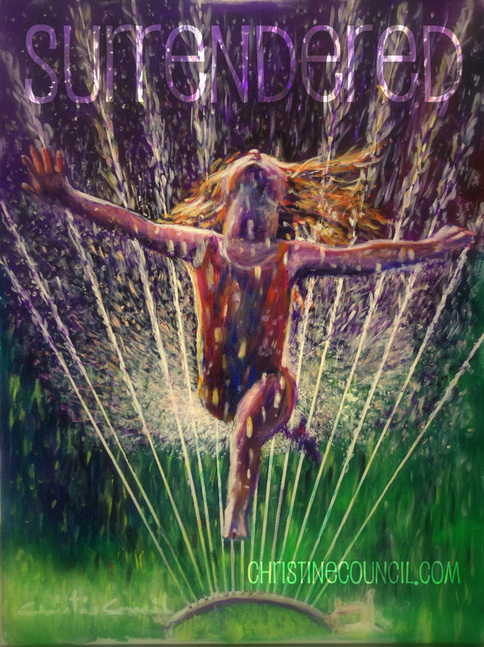 She is also jumping through...breaking free...transitioning, going forward...from the darkness into a new realm. Worship does that too. Takes us from the natural into spiritual places. Where the spirit of The Lord is, there is liberty. 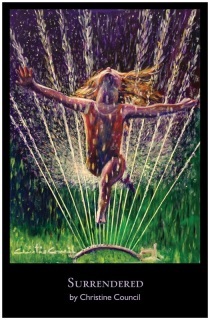 Water represents the Word of God, and she is letting it wash her. 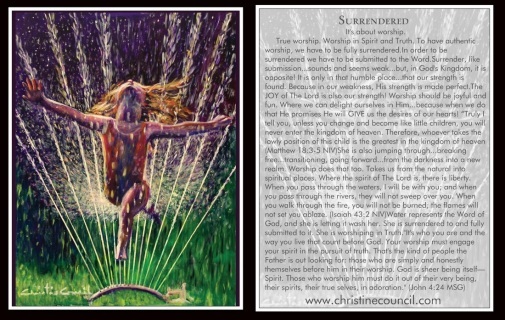 She is surrendered to and fully submitted to it. She is worshiping in Truth. 18" x 24" Giclee on Stretched Canvas. 11" x 17" Print on paper. 10 5" x 7" Greeting cards with envelopes.